I would first like to Thank everyone who has visited the Free Bullion Investment Guide. Since the Guide first came online in March of 2011, through your help, the daily visitors to this site has grown by 1000%. Although I am proud of the progress with the steady popularity of the guide, this site is still considered small in its viewership on the world wide web. Bullion Supermarket agreed to become our first sponsor/advertiser. As of March 31st, we have not received any commissions from our affiliates, however, we did receive a Free Gram of Gold from the Bullion Vault, for creating an account with them. This deal is also available for any bullion investor who wishes to create an account with the Bullion Vault, whether you are an affiliate of theirs or not. The guide has pledged that it will give at least 50% of gross income to the Kanzius Cancer Research Foundation. Our total gross revenues for March 2012, was $103.70. This represents the total amount for advertising fees from the Bullion Supermarket and our free gram of gold from the Bullion Vault. Last week, I emailed the Senior Director of the Kanzius Foundation; Mark Neidig. In that email I informed him how much our first payment would be, however it's not half of the total above. I informed Mark that I wanted to give at least $100.00 a month to the Foundation, and if we didn't do it through our affiliates and advertisers, I would make up the difference myself. Added to the homepage, on the lower right side you will see "Last Weeks Best News." In addition, I also recently added a page for the 1oz. Canadian Silver Moose Bullion Coin . The coin shown on that page was purchased from Silver Gold Bull - Your Trusted Bullion Dealer for $1.50 over the spot price of silver. If you choose to click any of their links or ads from this site to purchase precious metals bullion from them totaling over $1,500.00, a portion of your purchase will go to the Kanzius Cancer Research Foundation. Furthermore, over this weekend (4/7 - 4/8), I will be posting a page for the 1oz. Australian Platinum Platypus. I also plan to post News articles on existing pages and in the future create new ones, to make it easier for you find the subject oriented news your looking for. There are many more pages in the pipeline to be posted in the near future. First, I would like to Thank You for visiting this guide and for your continued support of this website. For the month of April our traffic increased by more than 10% over March's traffic. I hope you will continue to visit the guide so we can continue to get the word out about how people can protect their wealth through physical bullion, in addition to having a balanced investment portfolio. 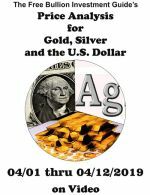 As of April 30th, we received a minimal amount through our affiliates, and the Bullion Supermarket agreed to continue to be a sponsor of the guide. The gross combined total of fees and commissions received by the guide during the month of April was $52.00. However, that is not all the guide brought in last month. In February, I received an email from an executor of a family's estate in Canada. She needed help finding out when the Engelhard Gold Bullion bars they had inherited, were manufactured, for accounting purposes. With some research and the the help of CEO & President of KMG Gold Michael Gupton, we were able to give them an approximate timeline of when the gold bullion bars where manufactured. Then a few weeks later I received another email from the same family executor for more of my help on a different set of gold bullion bars this time they were from Johnson Matthey. These gold bullion bars were much harder to find information about, but after much research, I was able to come back to them with a concrete time horizon of when the bars were manufactured. I did not charge a fee for the work I did for family estate, in my point of view, it wouldn't be the "Free" Bullion Investment Guide if I charged a fee for my work. However, they wanted to pay me for the work I did, so they sent me a check of $250.00. I did not bill them, I let them give whatever they felt was reasonable, but I am grateful. Furthermore, if anyone needs help with finding information out about bullion you have or are looking into, feel free to ask. I am the only person running this website and I answer all emails personally. I will do what I can to help you out. For the month of April, the gross total commissions, fees and donations to the guide was $302.00. The pledge of this guide is to give at least 50% of gross revenue to the Kanzius Cancer Research Foundation to help them in their pursuit to find a non-invasive treatment and possibly a cure for cancer. As stated in my last update (below this one), I completed the 1oz. Australian Platinum Platipus page. News links have also been added to the following pages to give you more information and news on individual subjects. The pages include; IRA & Bullion page, Bullion Dealers, Graded Coins, Inflation, and the Investing Gurus page. Furthermore, mintage figures for the Australian Bullion Coins have been updated for the year 2011. Unfortunately, last month I wasn't able to get done as much as I had hoped. I had a death in my family and two weeks ago I managed to bruise my ribs in a fall. In the next few days I will be adding news links to each of the Investing Guru pages and I will be updating the AUDIO & VIDEO interviews found on their individual pages. This month I also intend to update both Gold and Silver S & D pages (S & D = supply and demand) to reflect 2011's results. The old 2010 supply and demand pages will not be deleted, there will be a link on the new pages to the old ones for you to see the difference from year to year. Recently, I have also started a new partnership with a bullion dealer in Toronto, Canada called the Precious Metals House. Through this new relationship we will be transferring information so the visitors of this site and their customers can be more fully informed about investing in precious metals bullion. Lastly, I have a ton of pages and upgrades that I want to add to the guide to make it more informative for your bullion investing needs. Thank you for visiting the guide and I will keep you updated. I would first like to Thank Everyone who has visited this guide and for your continued support of this website. For the month of May our traffic basically stayed the same from the prior month. 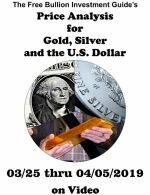 As of May 31, we received a minimal amount through our affiliates, and theBullion Supermarket agreed to continue to be a sponsor of the guide. The guide has added seven new affiliates over the past 30 days, including GoldMoney.com, which offers a generous 25% commission on net sales. Of which, at least 12.5% will go towards helping the Kanzius Cancer Research Foundation achieve their goals involving the fight against Cancer. As of May 31st, the gross combined total of sponsorship fees and commissions the guide received during the month of May was $55.00. I have personally committed to give the Foundation at least $100.00 a month if the site does not generate the funds itself through advertisers and affiliates. As stated in my last update (below this one), I updated both the Gold S&D and Silver S&D (S&D = supply and demand) pages. However, I also mentioned in the last update that I would keep the old pages for reference material, but I decided not to keep them. The figures had changed and the old charts became obsolete. In early May, the Royal Canadian Mint updated their mintage data for 2011's bullion coins. 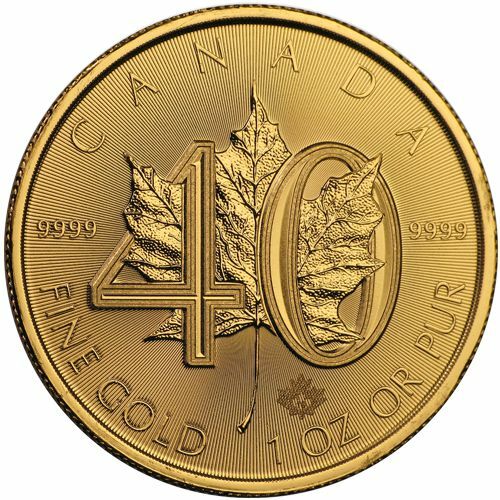 All the mintage figures for the Gold, Silver, Platinum and Palladium - Maple Leaf Canadian bullion coins have been updated to reflect 2011's data. 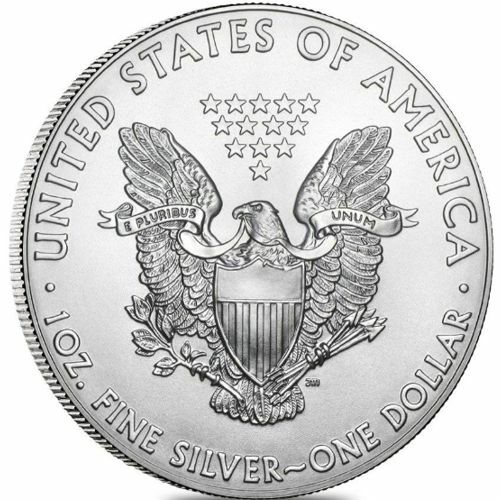 In addition, at the beginning of each month all the US bullion coins get updated mintage figures to reflect those published by the US Mint. Since the last update I have posted two new pages, the "Bullion Forums" page and a SiteMap for the guide. The Inflation and Bullion Dealers pages have both been updated and the Conversion chart on the "Troy?" page has been edited and more information has been added to it. I Thank You for visiting the guide and I will keep you updated here about the Free Bullion Investment Guide. 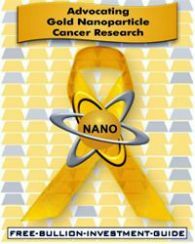 This Guide currently gives 50% or more of what it earns to Gold Nanoparticle Cancer Research through The Angel of Healing Cancer Research Fund. I would like to Thank You for visiting this guide and for your continued support. For the Month of June, the traffic to the Free Bullion Investment Guide increased slightly more than 10% over May's traffic. The pledge of this guide is to give at least 50% of gross revenue to the Kanzius Cancer Research Foundation to help them continue their research. As of June 30th, with the help of the continued support of the Bullion Supermarket and through your support, by using our affiliates. The guide gross income for June 2012 was $74.00. 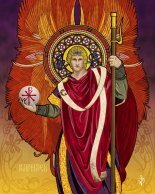 I have promised, the Kanzius Foundation, at least a $100.00 donation each month if the guide does not generate the funds itself through our advertisers and affiliates. I am currently working on 4 new pages, all of which pertain to separate subjects of bullion investing. The first page out of those four I hope to have posted on the guide before or by 7/11. There is a new "Gold Value Estimator" posted on the right side column of the homepage. It allows you to estimate the worth of gold from 10K to 24K in almost any amount of weight, converted to grams. I also intend to update the Australian Lunar Gold & Silver pages to include all photos and information with both the Series I & II lunar bullion coins. Currently, the Lunar Gold & Silver Series Coin pages include a photo of the Series I coin, it's information and mintage figures for both Series I & II coins. I intend to get a lot done to the guide this month and have many more updates for you next month. First and Always, I would like to Thank You for visiting this guide and helping to make this website more popular. For the Month of July, the Free Bullion Investment Guide's traffic increased by more than 20% over June's traffic numbers. I cannot Thank you enough for your support! The pledge of this guide is to give at least 50% of gross revenue to the Kanzius Cancer Research Foundation to help them continue their cancer research. As of July 31st, with the help of the continued support of the Bullion Supermarket and through your support, by using our Affiliates. The guide's gross income for July 2012 was, $90.89. I have promised, the Kanzius Foundation, at least a $100.00 donation each month if the guide does not generate the funds itself from our advertisers and affiliates. I would like to first address a "Revision" I made to my last "Update to the Guide" for July. In that revision, I noted that my father went into the hospital and I would not be putting up a some pages as soon as I hoped. To clarify, my father did go into the hospital, but it was a scheduled surgery. However, he had unexpected complications which took my time away from getting those pages done. He is doing be much better now. I would also like to apologize for not getting done some updates I previously said I would do for the Australian Gold and Silver Lunar bullion coin pages. I said I would include photos on those pages of both the Series I and Series II lunar bullion coins (currently only Series I coin photos are on the pages). I intend to get those updates done this month. The two pages I was working on to get posted on the Guide, was the Gold to Silver ratio page and the Dow to Gold ratio page. I had originally planned to explain the two ratios in one page, but it quickly became obvious that it would be better to separate the information. Furthermore, after I had completed the Gold to Silver Ratio page, I was not totally satisfied with information I had for the Dow to Gold Ratio page. After some research, I remembered some technical charts I previously posted on the Homepage's news links, earlier in the month, from Valcambi Gold. I knew their charts would be perfect for the Dow to Gold ratio page. So, I emailed the CEO, Eric Hommelberg, and asked him for his permission to post their charts on my page. He quickly and kindly responded and gave me permission to post the charts. Shortly there-after the Dow to Gold ratio page was posted. The two "Ratio" pages were the two latest additions to the Guide for the month of July. I have updated the news on the Bullion Dealers page, and many of the Investing Guru pages. I also personally read and review all the news posts before they are posted daily on the Homepage. At this time, I would like to Thank You again for visiting the guide and I will keep you updated here about the Free Bullion Investment Guide. Thank You for visiting this guide and in helping to make this website more popular, month over month. For the Month of August, the Free Bullion Investment Guide's has continued to see it's traffic increase. The pledge of this guide is to give at least 50% of gross revenue to the Kanzius Cancer Research Foundation to help them continue their Innovative Cancer research using Gold, Silver and Carbon Nano-Particles. As of August 31st, with the Advertising help of the Bullion Supermarket and through your support, by choosing to use one of our many Affiliates, the Guide's gross income for August, 2012 was, $70.25. With the generous help of the Precious Metals House, the Gold & Silver Australian Bullion Lunar coin pages have been update to reflect both Series I & II bullion coins. I realize the revisions to these pages were done right before the 2013 Lunar Snake bullion coins were announced. However, in the very near future, with the help of the Precious Metals House, these pages will be updated with photos of the Lunar Snakes bullion coins. 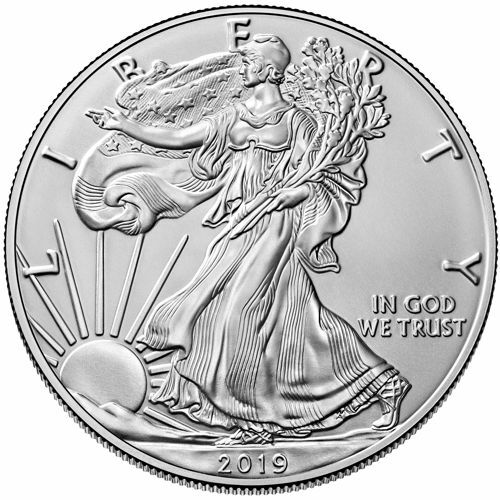 The Precious Metals House is also going to be helping us in the future with other bullion coins photos, and information to help you with your bullion investment needs. For the month of September, I intend to re-vamp the "Recent Bullion News & Commentary Headlines" page found at the below the Headlines on the Homepage. Currently this page's news-links date back to the beginning of October 2011, when I started the page. I will be breaking the up page quarterly, to help you more easily search for news impacting the Precious Metals Industry. I am currently working on several other pages to help you with your Bullion Investing needs. 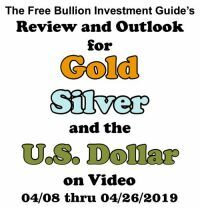 I will keep you informed here of my progress and I Thank You for your continued Support of the Free Bullion Investment Guide. Whether you are new to the guide or visit here often, I would like to start this entry like every other, by Thanking You for visiting this guide. For the Month of September, the Free Bullion Investment Guide's has continued to see it's traffic increase by more than 10%, month over month. The pledge of this guide is to give at least 50% of gross revenue received in the form of fees and commissions, from our Advertisers and Affiliates to the Kanzius Cancer Research Foundation. The Guide does this to help them continue their Innovative Cancer research using Gold, Silver and Carbon Nano-Particles to find a "Better Way" to fight Cancer. As of September 30th, with the Advertising help of the Bullion Supermarket and through your support, by choosing to use one of our many Affiliates, the Guide's gross income for September, 2012 was, $80.75. I have personally promised the Kanzius Cancer Research Foundation that they would receive at least a $100.00 donation, if the guide does not generate the funds itself through our advertisers and affiliates. Just recently the Precious Metals House supplied the Guide with photos of the Gold and Silver Lunar Snake Bullion Coins. Most of the pages have been updated with the photos, however, there are a few that have not, mostly due to discontinued coin from The Perth Mint. The one coin that was not discontinued, but has also not seen an updated 2013 Lunar Snake photo is that of the 1oz. Australian Gold Lunar Bullion Coin. This was not done by design, simply an oversight by the Precious Metals House in the photos they supplied to us. However, although I will inform them of the missed photo, I am a personal fan of the 2012 Dragon design and may keep it. Plus, I think it looks good to have the two Dragon coin designs on one page, showing both the 2000 and 2012 Gold Lunar Dragon's. This past month I also brought more pages to the Homepage's Navigation Bar. The "Bullion...Where to Buy" heading was added and the pages that are at the bottom of the Bullion Dealers page was brought to the forefront and placed on the homepage. Unfortunately, I did not put up pages that I stated I would in my precious Update. I am speaking about the changes to the Recent Bullion News & Headlines page. What I stated in the last update was that I plan to divide that page up by market quarters. I apologize for not getting this done, I can tell you I am working on it and intend on having those pages up. I want those pages to give you as much information on each individual quarter as I can, by not making those pages into just News pages but Knowledge pages. I Thank You again for your visit to this guide, I hope you had a Wonderful Summer and until next time...I wish you Good Health and Happiness. I would like to start this entry like every other, by Thanking You for visiting this guide. For the Month of October, the Free Bullion Investment Guide's has continued to see it's traffic increase by more than 10%, month over month. Furthermore, if you know someone who you think this site could help, please send our link to them. As of October 31th, with the Advertising help of the Bullion Supermarket and through your support, by choosing one of our many Affiliates, the Guide's gross income for October, 2012 was, $67.54. Note: We do have one sale that is still pending with the Perth Mint that was made on 10/19/12. I am unaware of the total amount of the order, but the Perth Mint does offer a generous 10% commission on every order of which at least 5% goes to the Kanzius Cancer Research Foundation. Once the order has cleared it will added to that month's total and will hopefully be recorded here in the next Ledger Entry. The first and probably the most noticeable change to the website is the PayPal "Donation" link at the top of the homepage and other pages. Soon to be on all pages. I had been contemplating whether or not I should put up a Donations link, because I originally wanted to try to collect funds for the foundation through just our affiliates and adverstisers. However, a few individuals asked me to offer it because they wanted to help the guide and the foundation without having to purchase something. Furthermore, the same commitment of this guide refers to "Donations" as well, at least 50% of your donation through our "PayPal Donations Link" will go to the Kanzius Cancer Research Foundation. I say "at least 50% because I want to give more, but I have a budget I need to keep this guide going. Once the guide has started to meet it's expected budget, I want to give more than 50% of the monthly gross revenues to the Foundation but we are still far from making that budget. Also, thanks to the Precious Metal House the guide has upgraded all of its Australian Bullion Coin photos except for a few coins that have been discontinued. I am still working on the changes for the "Recent Bullion News & Commentary Pages" I intend to have Q4 of 2011 up first. This will Mark the first quarter that I started to save the daily posted news stories on the homepage. I intend to have a least two quarters of these page up before the next Ledger Entry. Ultimately, I hope to have many more updates done to the Guide during November so I may have more to tell you about next time. Thank you for your continued support, I hope you had a Happy Halloween and will Have a Wonderful Thanksgiving. Until next time....Stay Safe and I wish you Good Health and Happiness. I want to Thank You for visiting this guide. For the Month of November, the Free Bullion Investment Guide's traffic increased month over month by more than 25%. One of our best month ever, in consideration to month over month traffic figures. Furthermore, if you know someone who you think this site could help, please send our link to them. Beyond being a Free Source of bullion Investing Information, the Guide has a pledge to give at least 50% of gross revenue it receives in the form of fees and commissions, from our Advertisers and Affiliates to the Kanzius Cancer Research Foundation. Like others, I have witnessed friends and family fight cancer. It is an extremely painful disease to endure and witness. No one deserves to go through the pain that cancer brings. We need to find a way to rid us from this disease. The Kanzius Cancer Research Foundation has possibly created a way to do this using Radio Waves and Carbon and Gold Nano-Particles. The Guide donates to them so they can continue their Innovative Cancer research, to find a "Better Way" to fight and hopefully beat Cancer. As of November 30th, with the continued support of the Bullion Supermarket and through your support by choosing to do business with one of our many Affiliates, the Guide's gross income for November, 2012 was, $299.74. Note: One October pending sale, from the Perth Mint, was held over by them and was credited to November's total. The sales commissions of $41.30 was added to the total for the month. Unfortunately, I was unable to get done what I wanted to do for the month of November. I had some computer issues that put my main computer offline. This left me with my current back-up. a 10year old Dell Laptop. So practically doing anything to the website beyond posting the News on the hompage was a chore. I was able to recently post the first condensed and archived news page "4th Quarter 2011" featuring Charts from the Quarter and the News links from the "Recent Bullion News Page." I will have the next quarters done in the following days and weeks. 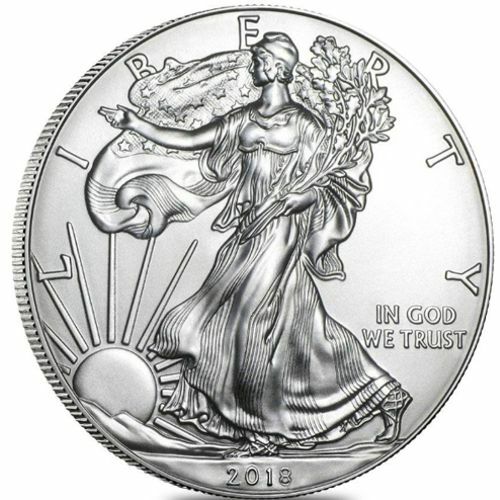 The US Mint's bullion coins were all updated and are at the beginning of each month. I hope to update all the mintage figures throughout the website's coin pages to represent the latest numbers, as they are released. I hope to have more updates done to the Guide during December, I would like to Thank You again for your continued support. I hope you have a Merry Christmas and a Happy New Year. I hope you and your family had a Very Merry Christmas & Happy New Year, I also wanted to Thank You for visiting this guide. For the Month of December, the Free Bullion Investment Guide's traffic continued to increased month over month. Like others, I have witnessed friends and family fight cancer. I've personally witnessed two of my very close relatives and one of my best friends from childhood fight and ultimately be defeated by Cancer. I will never forget the pain they went through. No one deserves to go through the pain that cancer brings, whether it is the one who is stricken with the disease or their family and friends. We need to find a way to rid the world from this horrible disease. The Kanzius Cancer Research Foundation has possibly found a way to do this using Radio Waves and Carbon and Gold Nano-Particles. The Guide donates a portion of every sale or donation generated from the guide to them so they can continue their Innovative Cancer research, to find a "Better Way" to fight and hopefully beat Cancer...FOREVER. As of December 31st, with the continued support of the Bullion Supermarket and through your support by choosing to do business with one of our many Affiliates, the Guide's gross income for December 2012 was $97.52. Note: We currently have two December pending sales, from the Perth Mint. I contacted the Mint and was notified that they sometimes have a 60 day grace period to pay. They requested that if payment has not been paid in 30days from the sale, that we then make an inquiry. I assure you once the sales have been finalized at least 50% of the gross commission will be donated to the Kanzius Cancer Research Foundation. For the month of December I added two new pages 1st Quarter 2012 & 2nd Quarter 2012, however, currently these are the only links to these pages. I intend to finish and post 3rd Quarter 2012 - tomorrow, once that page is live I will put links to these pages on the Recent Bullion News Page. On these pages you will find quarterly & yearly charts for all the precious metals and links to the news during that quarter. The Chinese bullion pages have all been updated with 2013 mintages for each coin, in addition each coin photo is larger and more enhanced. Furthermore, all the year end mintage figures for US Bullion have been updated as well. This month I hope to get a lot done, I intend to update the US Bullion - America the Beautiful coin page. I also intend to contact several World Mints this month to add more coin pages and update information on existing ones. 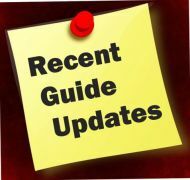 I am also pleased to announce the Guide has added two new affiliates, GunSafes.com & Coin Merchantile.com. I would like to Thank You again for your continued support. Hello, whether you are knew to this guide or a daily visitor, I would like to Thank You for visiting. The guide serves two main purposes, the most obvious is that it stands as a Precious Metals Bullion Investment Guide, for any investor. The other purpose, is to bring awareness of how the Kanzius Foundation may one day be able to kill cancer with the help of the invention that John Kanzius created. His invention may one day free all of us from the pain that Cancer brings and has brought to so many individuals and families. The Free Bullion Investment Guide funds the Foundation that bares John Kanzius's name (the Kanzius Cancer Research Foundation) through commissions that we earn from your purchases through our Affiliates. As of January 31st, with the continued support of the Bullion Supermarket and through your support by choosing to do business with one of our many Affiliates, the Guide's gross income for January 2013 was $611.72. Note: We had two pending sales that in December, from the Perth Mint, that were not totaled in last month's Ledger report. The sales were finalized shortly after reporting last month's ledger entry. However, due to the logistics of when the sale was finalized and the pay schedule of the affiliate network that the Perth Mint is contracted with (clixGalore), the guide has not been paid for these commissions, yet. However, I went ahead and covered the 50% commission donation for the Foundation. We receive a generous 10% commission from the Perth Mint. During the month of December our commissions totaled 233.32 from the Perth Mint, half of that pending commission was added to this month's Ledger total. Furthermore, the guide has a sale from the Perth Mint in January, that sale has yet to be finalized. I will keep you updated on this pending sale in the next Ledger Entry. This month I was able to get a lot done, first to mention, is that the Mintage Figures for many bullion coins have been updated to reflect end of year totals for US Bullion Coins, UK Bullion Coins, Mexican Bullion Coins and the Australian Bullion Coins. 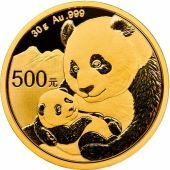 The Chinese Bullion Coins mintage figures for 2013 were updated last month. Canadian Bullion Coins mintage figures will be updated after the Royal Canadian Mint issues it's yearly financial report, in April. 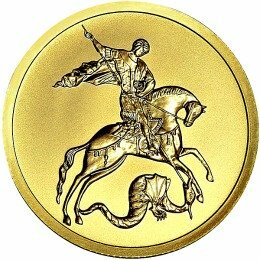 To my knowledge Russia did not issue any bullion coins last year (I will check the Bank of Russia's website, periodically, to make sure). And S. Africa's bullion coin mintage figures can be found, if you follow the link, at the bottom of the Kruggerrand page. 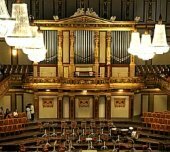 Furthermore, The Austrian Mint will be contacted to obtain the mintage figures for the 2012 Austrian Bullion Coin. A ironic thing happened to me in the middle of last month. As I was drafting a email to the Royal Mint to request information on their bullion coins, they sent me an email requesting my assistance with helping them obtain information to help them with their international bullion sales. I was more than happy to help and they have helped the Guide in many areas as well, first, by helping me create a new page for the 1 oz. Gold Britannia. The Royal Mint also helped update some of our mintage figures for Gold Sovereigns and they let us know that no 1/2 oz. Silver Britannia's were minted last year. With the help of the Royal Mint, I hope to bring you more information on their bullion coins in the future. Furthermore, all the photos for the Mexican Bullion Coins have been updated and the 1 oz. Silver Britannia bullion coin page has been updated as well. 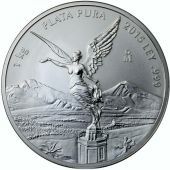 The Mexican Gold and Silver Libertad bullion coin pages got an additional page linked to them. The Popocatépetl and Iztaccihuatl page was added to the guide. This page was added to tell the Aztec Love Story behind the volcanic mountains that are inscribed on the Mexican bullion coins. Lastly, I wanted to make a minor change in the reporting date of the Ledger. Before last month, the reporting date was the 5th of every new month, to report on the last. I will be changing that date to the 7th, as to why I changed it this past week was because I have been dealing with a nagging cold for the past 5days. But the reason why I am changing the date is because it will make things a little easier to collect and distribute funds when a weekend doesn't interrupt the Ledger's reporting date. Until next time....I hope you are Happy and of Good Health. Hello, and Thank You for your continued support. The Free Bullion Investment Guide supports the the Kanzius Cancer Research Foundation through commissions that we earn from your purchases from our Affiliates. As of February 28th, with the continued support of the Bullion Supermarket and through your help by choosing to do business with one of our Affiliates, the Guide's gross income for February 2013 was $244.16. Note: This total includes a sale we had in January from the Perth Mint that had not been processed by the Mint at the time of our last Ledger entry. The sale has been processed and added to February's total. No major updates were done to the Guide this past month, however, I have been updating photos and information on several pages. This past month we saw one of our Affiliates; the Precious Metal House abruptly take their website offline. We were given a brief explanation and told that they maybe back online sometime in the future. Until that time, I thank them for all there help on the Guide's individual Australian Bullion Coin pages. I wish them all the Best and hope to they will be back in the future. In addition, even though we lost the Precious Metal House as an Affiliate, we added another bullion dealer, GoldandSilverOnline. Before joining with them, I went over many of their ads and found that they claimed to have the Best Prices Online for their bullion. I was skeptical and checked their prices against many of the dealers that are on this guide, to my suprise, they do. In some cases, the price difference my be only a few cents, but they still had the lowest price, I could find. Check out GoldandSilverOnline and test their prices against your usual dealer, you may be surprised with the results. I will continue to do the edits I have been doing to the guide over the next month. In addition, I hope to have the Gold S & D, and the Silver S & D (supply and demand) pages revised to show 2012's figures by the next ledger entry.